Whether you own one necklace or hundreds of fine pieces, the last thing you want is for the wrong person to get their hands on your jewelry. According to the FBI, there were more than 7 million instances of property crime committed just last year. Of those crimes, 18% were cited as burglaries. 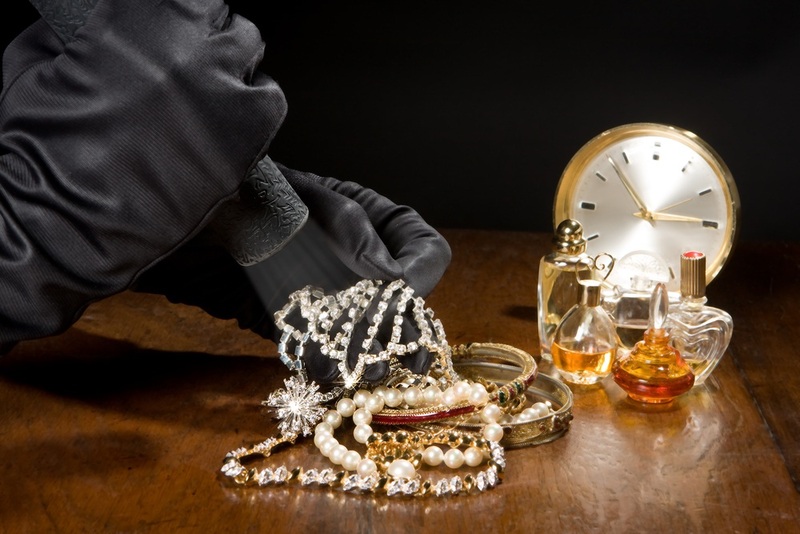 Here are a few ways you can protect your valuables at home. This one might be a bit obvious, but protecting your home with alarms, motion detectors, or closed-circuit cameras can greatly reduce your chances of falling victim to property theft. Many packages and equipment models have remote surveillance features, as well as options to notify law enforcement if there is any suspicious activity. After all, you never know what can happen when you aren’t home. You may believe that you can trust the individuals that are regularly in your home, but you can never be too safe. 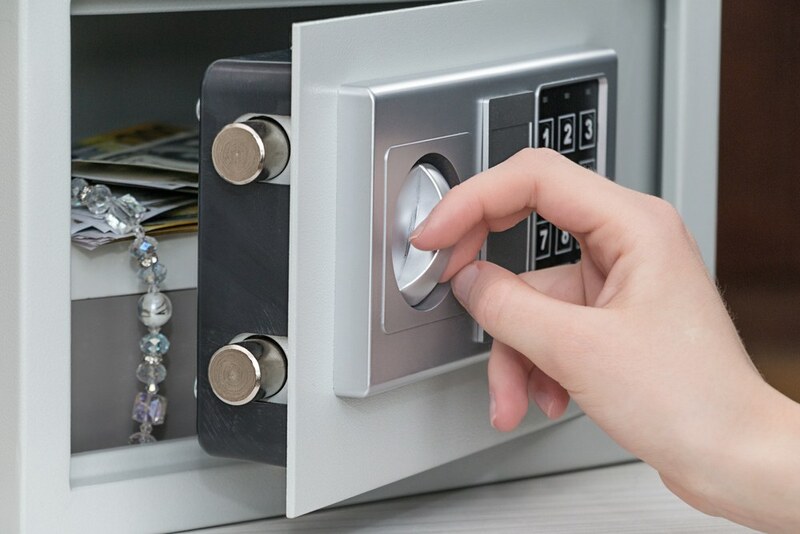 Instead of storing your valuables in a jewelry box or bureau, consider investing in a sturdy, locked storage compartment that only you have access to. If your safe comes with a key, keep it in a secure, hidden location. Better yet, opt for a safe with a combination lock to lower the risk even more. Even if you use a lock box or safe, avoid keeping it out in the open. The potential thief may not be able to open it, but that doesn’t mean they won’t take it to someone who can. Having your valuables in clear view is also a sure way to attract potential burglars to your home, so ensure that they can’t easily be uncovered while cleaning or organizing. If aren’t able to have a locked container for your jewels, this is the easiest and most important thing you can do. There are a variety of ways you can keep your possessions out of the view, and reach, of potential thieves and creativity is key. Conceal your valuables by placing a panel towards the back of a shelf for a secret compartment, or fasten a small box under – not in – a dresser drawer. Even a flower vase or planter can be a convincing hiding spot if it doesn’t look out of place, but understand that it is still riskier than using a well-hidden safe. Your homeowner’s insurance might cover some pitfalls such as fires or other disasters, but having a comprehensive plan for your jewelry is the best way to preserve its value if anything were to happen to your collection. There are many insurance companies on the market that specialize in fine jewelry, gold, and precious stones. Depending on the value and amount you want to insure, you can choose between a variety of packages and terms that cover everything from burglary to damage caused from accidents or natural disasters. In many cases, you will need to have your jewelry formally appraised before opening a claim and some options are more expensive than others. However, that might pale in comparison to the initial cost and value of your collection. It’s not always the most convenient option, but try to schedule repairs and other housework when you know you will be present. If you’re in the house while someone is working, they are far less likely to poke around where they shouldn’t be. You also benefit from the added peace of mind, since you won’t be stressing about anything happening to your jewelry while you’re away. This may not be a possibility if you need a babysitter or fumigator, but you can protect yourself in many other situations that require someone to enter your home. Whether you choose to install a fleet of security cameras, purchase a fireproof safe, or opt for a separate insurance policy, consider taking a few extra measures to ensure the safety of your valuables. You never know when the wrong person will find themselves in your home – and your jewelry box is probably the first place they’re going to look.